Journalist and author Beth Macy will discuss her New York Times-bestselling book, DOPESICK: Dealers, Doctors, and the Drug Company That Addicted America. The book chronicles the opioid crisis, including the role of doctors, drug companies, and the government in the crisis. DOPESICK describes how the epidemic has impacted the lives of first responders and a diverse group of Americans living in the suburbs, small farming communities and cities. Macy will discuss her journey in gathering interviews with victims, family members, dealers and medical professionals from southwest Virginia and the Shenandoah Valley. Macy is also the author of the widely acclaimed and bestselling books TRUEVINE and FACTORY MAN. Based in Roanoke, Virginia, for three decades, her reporting has won more than a dozen national awards, including a Nieman Fellowship for Journalism at Harvard and the 2013 J. Anthony Lukas Work-in-Progress Award. A former journalist for The Roanoke Times, she has appeared on CBS News, C-Span, PBS, NPR, and Fresh Air and in TIME Magazine, The New York Times, and other national news outlets. 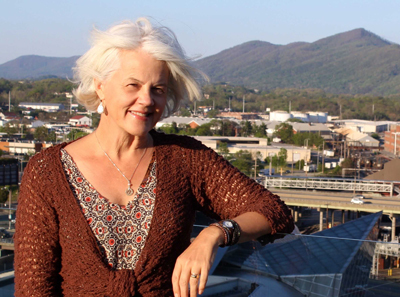 Community members interested in free daytime parking for Beth Macy's 3:30 pm talk, please email weinbergsc@appstate.edu.